Almost as soon as your family veterinarian has handed you the diagnosis of cancer, we want you to call us. Our staff are experts in the study and treatment of cancer, and we have all of the knowledge and tools at our disposal to offer the best possible outcome for your pet. When seeing your pet after diagnosis, it is our goal to determine the nature and extent of the cancer. This process is called staging and may include blood tests, radiographs, ultrasound, lymph node sampling, biopsy, or even advanced imaging techniques. This gives us the information needed to design a treatment plan for your individual pet and provide a more personalized prognosis. Our in-depth knowledge about the biological behavior of certain cancers, understanding of the research available, and familiarity with the various treatment options can be invaluable in helping you decide how to proceed. 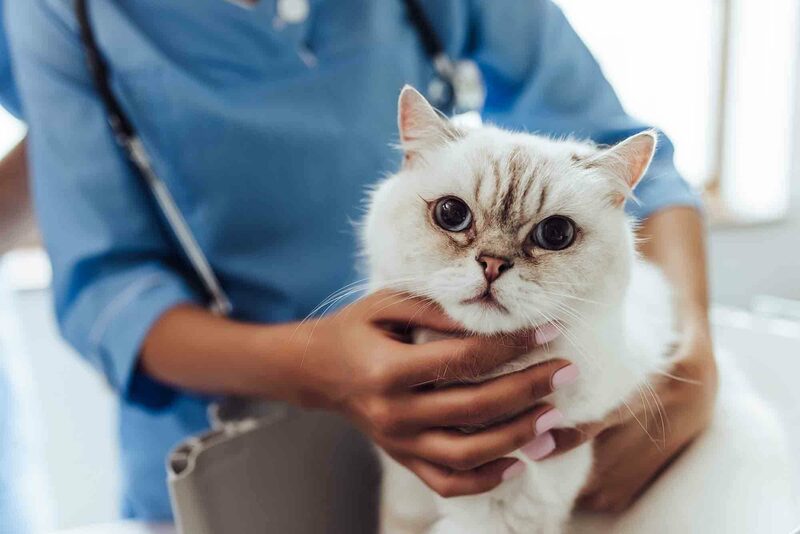 While finding out that your pet has cancer is never a happy event, it is very important to see a veterinary oncologist as quickly as possible once the diagnosis has been received. More options – One reason that the timing of cancer treatment in pets is so important is that the sooner you act, the more options you are likely to have. As a cancer spreads and grows, you may not be able to be quite so discerning about which direction to take. At a certain point, treatment may not even be advisable any longer. Easier treatment – If the cancer is caught early, it is more likely that treatment will be less aggressive. The longer the time period between diagnosis and the onset of treatment, however, the more opportunity for the disease to progress. Once a cancer enters the surrounding tissues or lymph nodes, more aggressive therapies are often required. The rate of progression may vary greatly depending on the type of cancer, and even a week can make a difference in some instances. Better prognosis – Each type of cancer carries a different prognosis, but, in general, the sooner a cancer is caught, the better the outcome that can be expected. Many types of neoplasia respond better to treatment when therapy is started early. Finding out that a beloved pet has cancer can be overwhelming and heart-wrenching. It is important, though, to move forward with an oncology consultation as soon as possible, so that you have resources at your disposal and can make well-informed decisions. The timing of cancer treatment in pets can make a big difference. We are here waiting to help whenever you might need us. Please contact us to learn more.